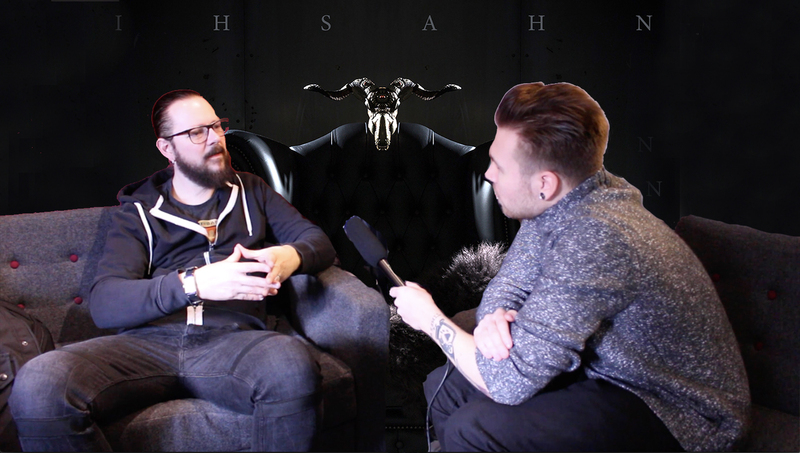 One of Metal’s most eclectic solo artists and a pioneer in the genre of Black Metal, set to unveil his latest creative masterstroke on Àmr, Ihsahn very kindly took the time to sit down with me and talk all about the brand new album. Not content with reinventing the blackened wheel once with former band Emperor but following his own creative path, Ihsahn has been able to venture far beyond the realms of what would be deemed as “Black Metal”. Yet here lies one of the problems in the Metal world. Ironic that a genre based on as the Ihsahn states “Do what thou wilt, the whole of the law” is governed by such strict guidelines but it wasn’t always like that. Set to release his brand new opus Àmr come May 4th, once more the Black Metal scientist will reinvent himself again. Focusing this time on aspects that pertain to a more minimalist quality, the material on Àmr could well be some of Ihsahn’s best to date and I do not say that lightly. I was very lucky to be able to speak to the man all about his brand new album, the rigid guidelines of Black Metal and why Fredrik Akesson is his favourite guitarist. Ihsahn’s brand new album is out May 4th and you can preorder the album here!